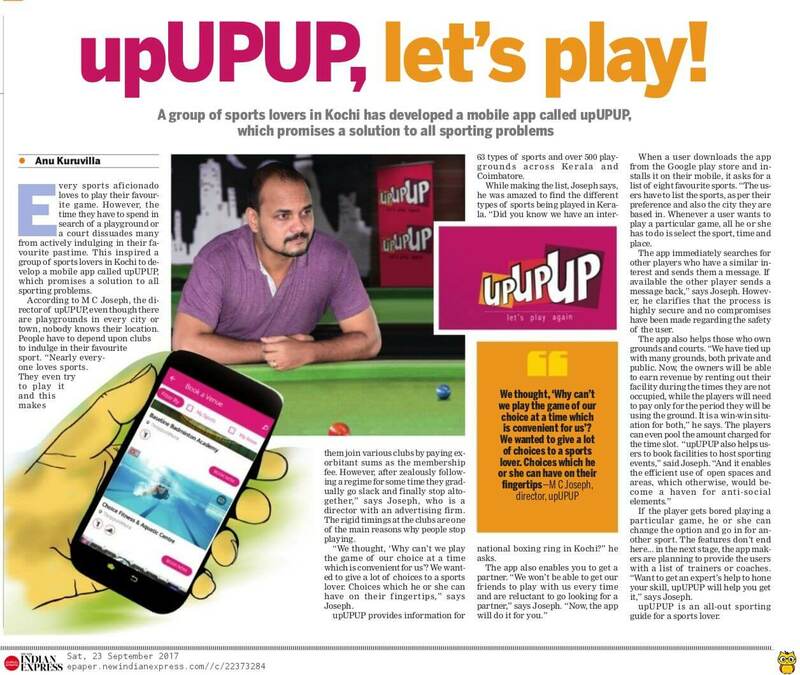 upUPUP, a new app launched for sports lovers. It is a smartphone app designed to help you to focus on your fitness sport and just chill with your friends! 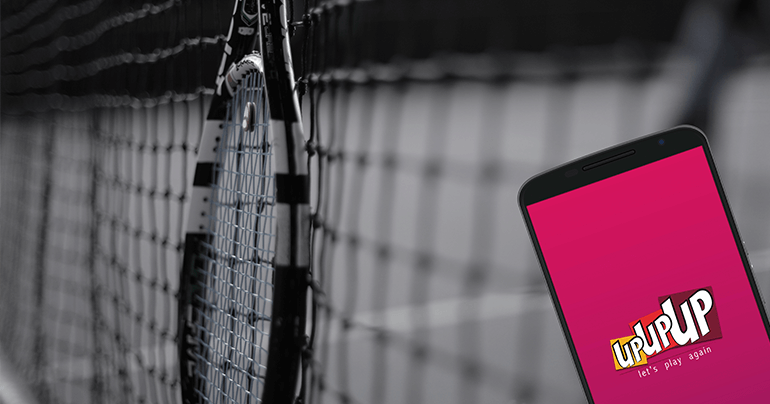 upUPUP will take care of rest… to find co-players, find venues and know the availability real-time and Book it!…. wow!! …. Let’s play Again! 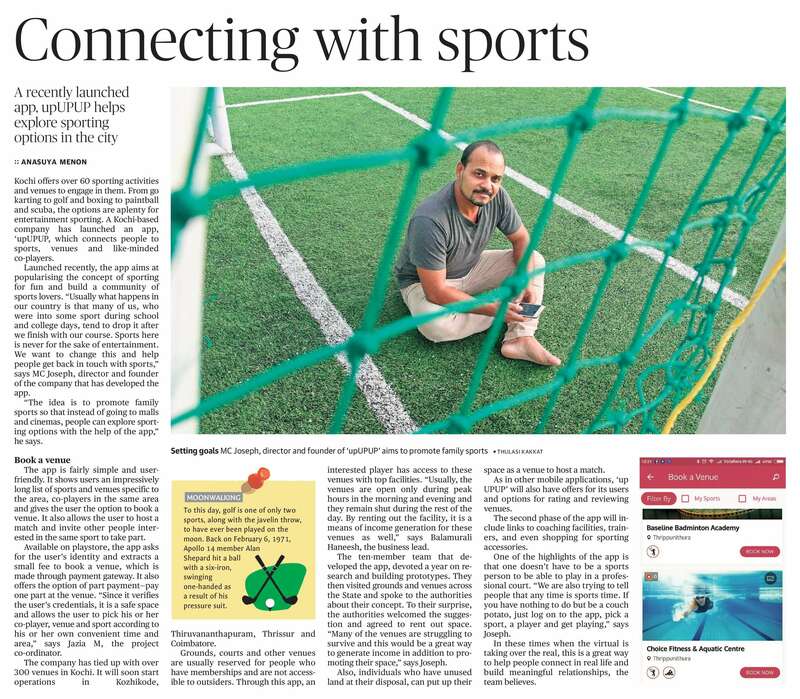 Itz a one-stop shop conceived App for Sports industry and the common people….covering 360°..!! 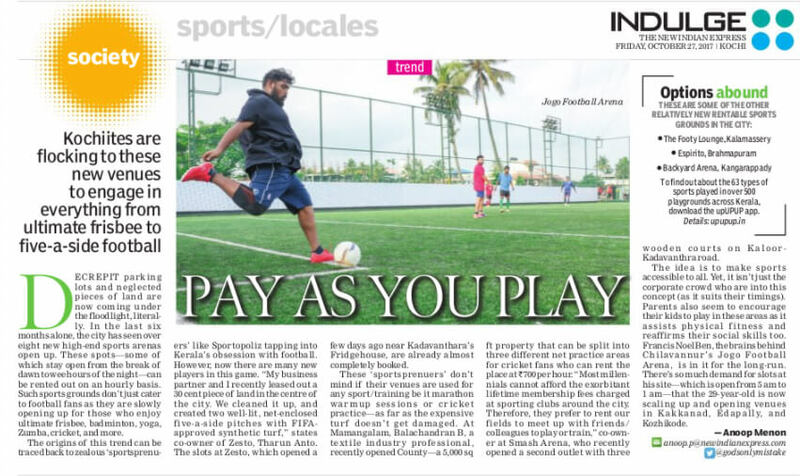 Find Sports, Find Co players , Find Grounds to Play. 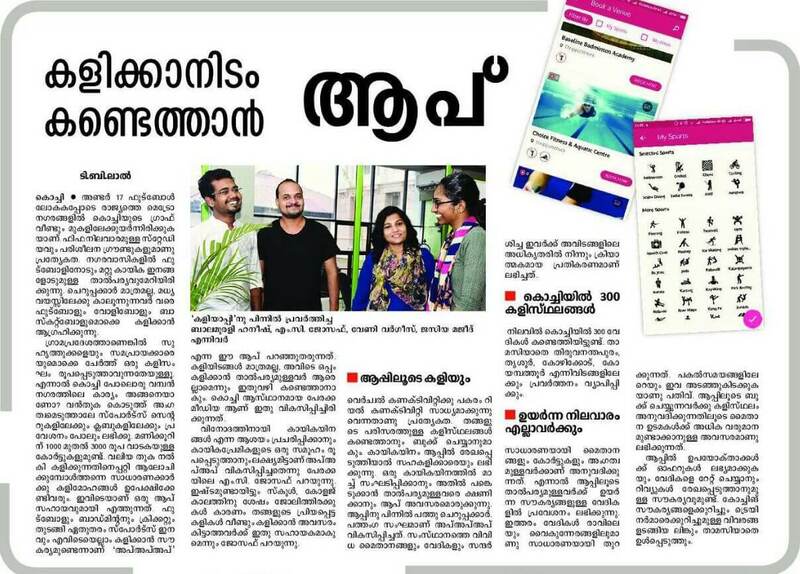 Kochi, Trivandrum, Thrissur, Calicut...also moving to Coimbatore.